Did you know that 2 out of three 3 children in Manitoba are not walking or cycling to school? Our youth and the environment are in a state of health crisis, and it’s time to act. We’re calling all parents to join us for a FREE information session on active school travel by our Active and Safe Routes to School program. 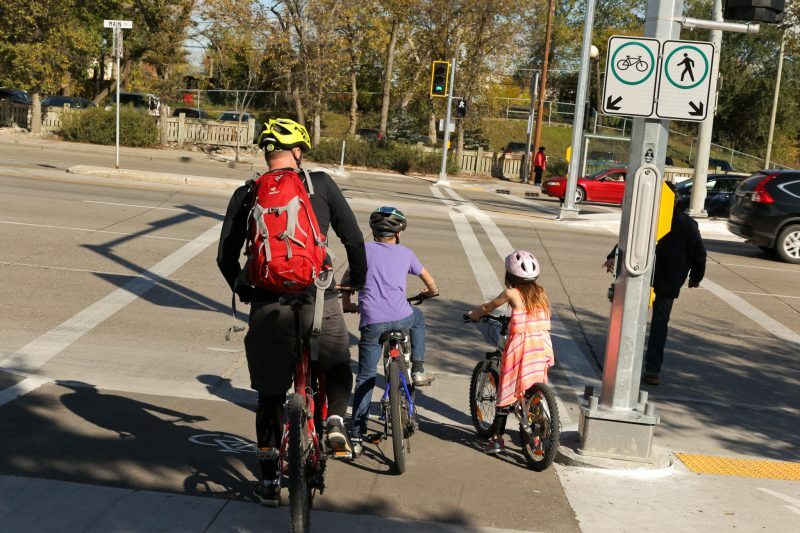 You will learn about the efforts of our Active and Safe Routes to School program, the many benefits of walking and cycling to school, barriers to active school travel and strategies to overcome them, and safety tips for navigating congested school areas. Encouraging your child to walk or bike to school is an important part of living a healthy and eco-friendly lifestyle. We strongly encourage you to join us in this movement! Please note that we may take photos or videos to use for promoting Green Action Centre and for our archives. Space is limited. Please register HERE! If you have any questions, please contact Heather at (204) 925-3777 ext 107.